I've said it once and I'll say it again... if you do not have Chanel's Le Blanc de Chanel in your makeup bag, you are missing out on one of the greatest beauty products money can buy. I am quite literally obsessed and will be gifting two bottles of this myself to two special ladies in my life - both obsessed with all things beauty. I had a rough time finding any available, however, as they are sold out nearly everywhere. Good news is that Selfridges still have a few bottles in stock. 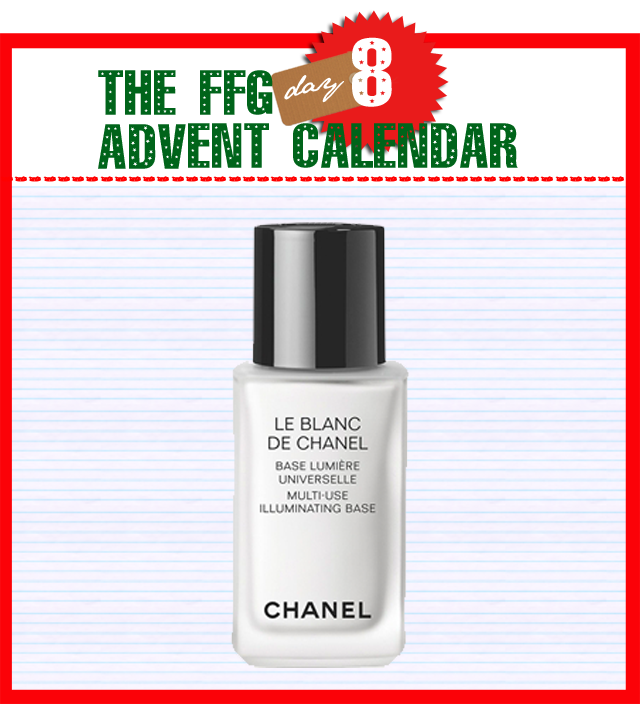 I was introduced to Le Blanc de Chanel from a makeup artist who was using it on set. She used it as a base for my foundation and also applied it on top of the makeup to give a really natural glow to my skin, and to make it look like we hadn't just spent an hour perfecting imperfections. Oh the crazy things we do to look good these days. In short, I've never had a better experience with makeup and the makeup artist for the day told me it was all about the base.